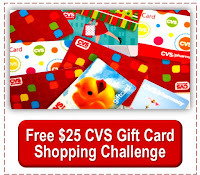 I had a really good shipping trip as part of my $25 CVS Gift Card Challenge with my free $25 CVS gift card from Swagbucks. Got two tubes of toothpaste and Duo Fusion, and came out with over $9 more spending power then I went in with! This is shopping trip #12 in my CVS gift card challenge. My $25 CVS gift card earned on Swagbucks plus extra bucks and cash back earned on purchases made with it total $39.69 worth of CVS spending power. See the spread sheet below for details of my current totals. We'll likely pack the tootpaste into Operation Christmas Child shoebox gifts.